Bridal Shower Soap Favors. 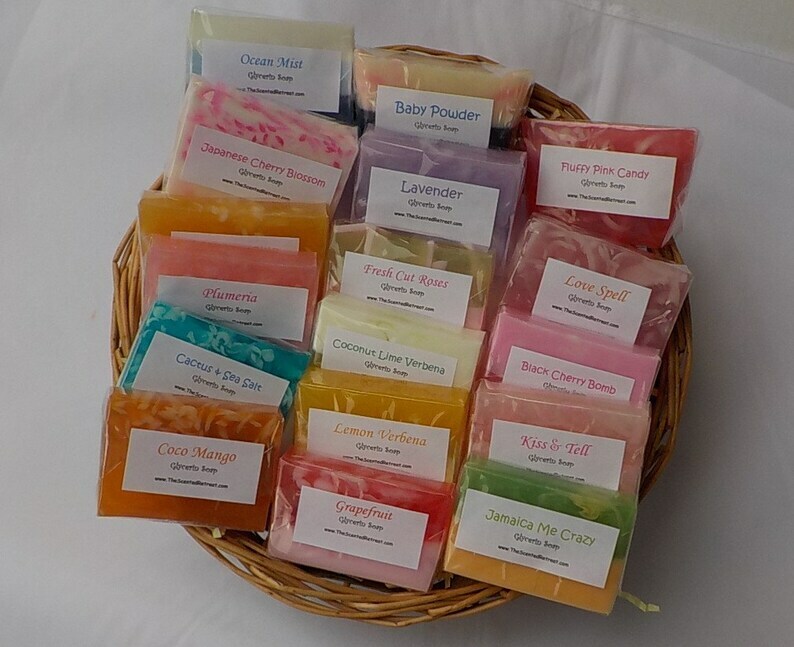 These are our really popular sample soaps which you can now purchase and customize. SIZE: Each soap is 1.75 to 2 oz and is wrapped in cello and labeled with the scent name. Approximately 3 x 2 x 1/2 inch. LABELS: Labels can be customized to include names or a date or something like "From My Shower To Yours." There are a few examples in the last photo. SCENTS: You can also choose up to 4 different scents per set of 25 soaps or have them all the same scent in the same or different designs. Complete your order as normal and choose the quantity you need. In the comment box when checking out please let me know your choice of scents and if you would like a particular color theme. You can also request a variety of scents instead of choosing. You can also add there if you would like the labels customized.